As an investor, you may be able to reduce your income-tax liability through year-end tax planning. Here are a few ideas to consider for your next year’s taxes. Do you have capital losses from selling stock shares held in taxable accounts? Maybe you can use the losses to generate a tax benefit. 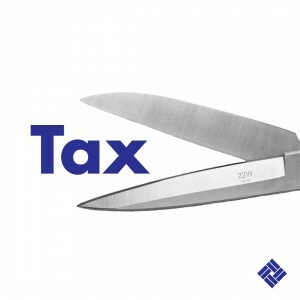 Capital losses can be used to offset capital gains, eliminating tax on the gains. For these purposes, you have to separate long-term gains and losses (on assets held for more than one year) from short-term gains and losses (on assets held one year or less) and net them in a certain order. Similarly, you may have a carryover loss from a prior tax year that you’ve been “saving up” and hoping to use at some point to offset a capital gain. Well, maybe the time has come. Consider selling carefully selected profitable securities to utilize your carryover loss. Again, how this will play out when the tax law’s netting rules are applied depends on whether the loss is short term or long term and the nature of your current gain. What if you haven’t sold securities that are showing a paper loss but are thinking of doing so? You can put realized capital losses to work for you by using them to offset any capital gains from this year’s sales. If you have a capital loss with no offsetting gain, you can take up to $3,000 of the loss against your ordinary income. Any loss exceeding this amount can be carried over to subsequent tax years. If you’ve been thinking about cashing in appreciated mutual fund holdings that you’ve held for longer than a year, consider completing your transaction prior to the fund’s ex-dividend date (typically in November or December). This will help qualify your entire gain as capital gain, as opposed to having a portion of it potentially identified as a distribution of ordinary income. Conversely, you may want to complete any mutual fund share purchases after the ex-dividend date. You will thus avoid having an immediate tax liability attributable to the dividend payment. If you are charitably inclined, donating appreciated securities accomplishes two things: You will create an immediate income-tax deduction equal to the full value of the stock, and you will avoid realization of a capital gain on the sale of your position. Note that deductions for charitable contributions are subject to certain tax law limits. To learn more about tax rules and regulations for investments, give us a call today. Our knowledgeable and trained staff is here to help. Meet Erika everyone! 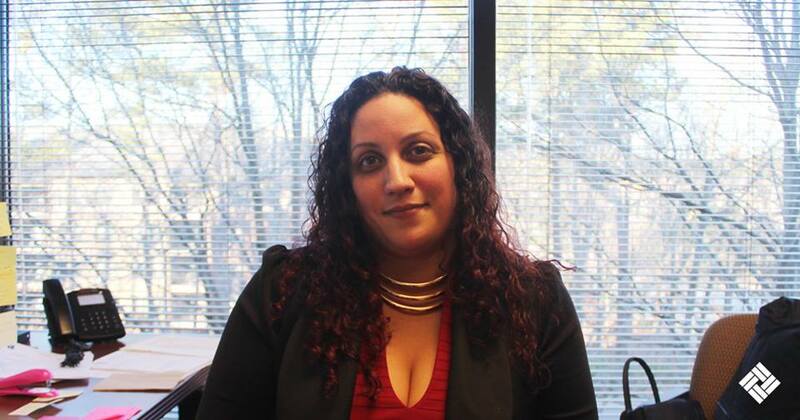 She handles payroll, taxes, and sales tax for all of Delerme CPA’s partners. She has been with the company for four years now and has been doing an outstanding job. 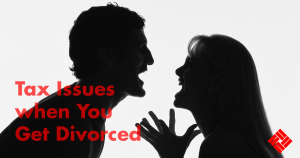 When a couple divorces or separates, there are many issues that need to be sorted out. One issue many forget to discuss is taxes. Here is a look at some of the tax issues divorcing couples may encounter. For tax purposes, a person’s marital status is determined on the last day of the tax year, so individuals who separate (but don’t divorce) during the year typically will need to make a choice between filing jointly or separately. Filing separately may result in the loss of valuable tax credits and deductions. For example, the American Opportunity Tax Credit (for higher education costs) is not available to a married taxpayer who files a separate return. Typically, filing jointly will result in the lowest overall tax. Alimony represents taxable income to the recipient and a tax deduction for the person paying it. Child support, on the other hand, is not taxed to the recipient, and the person paying the child support gets no deduction for the payments. Because the tax consequences are so significant, a number of technical rules govern what constitutes alimony. Generally, alimony must be paid in cash (or by check) pursuant to a divorce or separation agreement and terminate upon the death of the recipient. Some people — in the divorce decree or settlement agreement — try to “front-load” their alimony payments by designating payments in the early years as alimony rather than as child support. The IRS has specific rules limiting front-loading. Spouses should take care when dividing up assets. The general rule is that no gain or loss is recognized for property transfers if they occur either within one year of the end of the marriage or within six years of the end of the marriage and pursuant to a divorce or separation instrument. However, such transfers may create tax issues down the road, because when the property is sold, the owner may have to pay capital gains tax on the difference between the sale price and the basis (generally, the original cost). As a result, it’s important to consider potential future taxes when negotiating a property settlement. Only one parent may claim the dependency exemption for a child. Generally, the dependency exemption will go to the parent with physical custody, although numerous subsidiary rules may apply. The rules for claiming the child tax credit generally track those for the dependency exemption. And the general rule for the child and dependent care credit is that the credit will go to the parent with physical custody. Connect with our team today for all the latest and most current tax rules and regulations. Intuit discontinued its own QuickBooks mobile app a while back, but there’s still plenty of processing power available for your smartphone or tablet. In days gone by, running a company was a 40 hour per week proposition. You might have taken work home some evenings or gone into the office on weekends. Those days are over, thanks to the internet and mobile technology. This fundamental change in the way we do business means that it’s now hard to get away from work. Your smartphone and tablet are usually within easy reach, and they’re always tempting you to check in. -Monitor employee time for payroll purposes. Payment-processing on smartphones has become commonplace these days. You’ve probably seen merchants accepting credit cards on mobile phones in one of two ways: by swiping the card on a small card reader that attach to their device or by entering bank cards numbers directly. Intuit’s GoPayment lets you do either. You can download the free app and process a customer’s payment on your smartphone. However, you still have to download it into QuickBooks and either create a sales receipt or match it to an open invoice. This isn’t a difficult process once you understand it, but you must be sure to do it correctly from the start. We can do some practice runs with you. One of the smartest, most useful apps that has ever been created is the expense reporter – particularly when used by your road warriors for on-the-go expenses. There are a handful of these. Travelers can record expenses in two ways: they can either enter the information directly or snap a picture of a receipt with a smartphone. When your employees get back to the office, they’re able to prepare complete expense reports, whose approved data can be transferred into QuickBooks. Concur is one of these apps. When you set it up, it imports Account Codes, Customers, Jobs and Classes, and Vendor and Employee Records from QuickBooks so that these can be assigned for each expense entry. Credit card transactions can be imported directly. When an expense report is completed, it can be sent to a manager for approval, and reimbursement is then deposited in the employee’s bank account. Tallie works similarly. It can automatically categorize expenses and alert approvers to expense policy violations. Used in conjunction with Bill.com and SmartVault, it can accommodate a sophisticated, seamless accounting workflow. We’ll see more multi-app integration as cloud-based financial solutions mature, but if you’re going to attempt such a setup, let us help you with the initial mechanics. Creates timesheets that can be synchronized with QuickBooks, tracking billable time by customer, job, employee, etc. Benefits: Employee accountability; recovery and correct classification of all billable hours; and less time required to create timesheets. Given the size limitations of smartphones, some mobile apps contain only a subset of the features found in their desktop counterparts. But that subset is chosen based on the needs of mobile users. Fewer features mean that your learning time for the mobile apps that integrate with QuickBooks will be minimal. But the steps to sync with QuickBooks must be followed to the letter, and you may not be familiar with such a process. 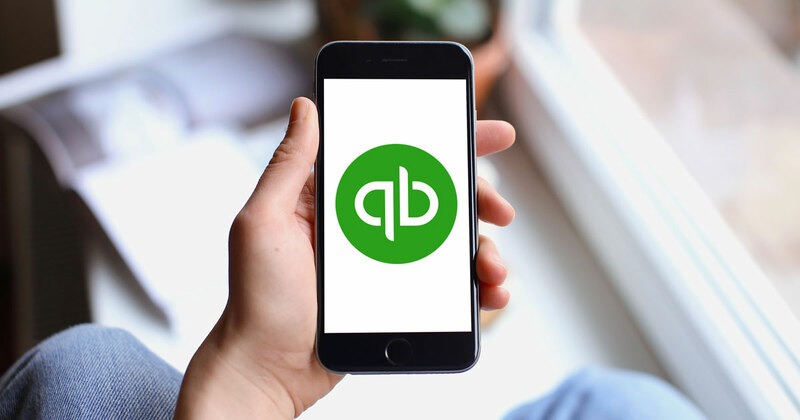 We want you to experience the benefits that these smartphone solutions can offer without compromising the integrity of your QuickBooks company file. Let us introduce you to these forward-looking, beneficial tools. Above the Line Deductions You Should Know About. Subject to certain requirements, a taxpayer who moves as a result of a change in his or her principal place of work may deduct certain costs of moving and traveling to the new residence. be able to deduct retirement plan contributions, qualified health insurance premiums, and a portion of their self-employment taxes. Fundraising is very challenging: It’s a critical function that essentially never ends. Coming up with some innovative ideas can help add a fresh spark to the task. 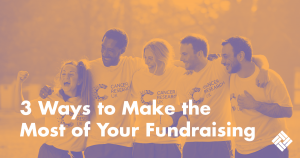 If you have an individual patron or corporate donor who is willing to donate a big-ticket item — such as a car, a vacation, or even a home or other piece of real estate — you may be able to raise a substantial amount by having an auction. Consider selling a limited number of tickets at a relatively high price. Most supporters will be willing to pay a higher price in return for a better chance of winning the prize. If auctioning off a single big-ticket item isn’t feasible, you may be able to find a lot of donors who will donate smaller items to an auction. Invite the whole community to attend and have plenty of publicity to generate excitement. You can charge admission and/or combine the auction with other fundraising opportunities to maximize the amount you raise. Investigate the possibility that someone involved with your organization knows or is related to someone with “star power.” A television or movie personality? A well-known author, artist, or athlete? If you discover that there is a connection to a public figure and find that he or she is willing to work with you, start making plans. There are many creative ways to “use” your relationship with a famous person to generate donations. When it comes to thinking up new fundraising ideas, go ahead and use your imagination. Just be sure to set financial goals and run some realistic projections before you get too carried away with any one idea. No matter how exciting your plans look on paper, you should be reasonably certain ahead of time that you can raise enough money to make your efforts worthwhile. If it looks promising, allow yourself plenty of time to organize your event. For more help with your fundraising for your non-profit, give us a call today. We’re here to help anyway we can. If you’re like most people, you’ve got lots of paper. Some of it you need to keep, and some of it you don’t. Here’s a look at what to hang on to and the best place to store it. A safe deposit box at your bank or a fireproof box in your home should hold birth ­certificates for you and other family members, marriage and divorce documents, naturalization papers, adoption papers, and death certificates. You may also want to keep property deeds and vehicle titles there as well. 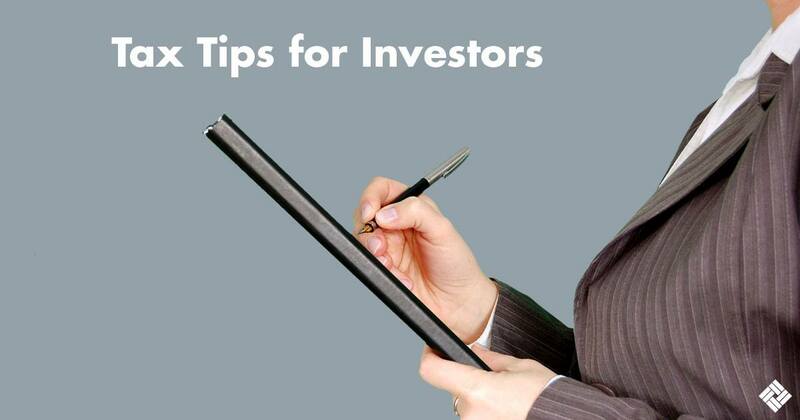 And you may want to include stock certificates and bonds that aren’t held by your broker. Your will, power of attorney, health care proxy, trust documents, and other legal papers should be on file with your lawyer. You’ll probably want to keep copies of these documents in your home files and give copies to your personal representative or executor. Keep records of stock purchases used for determining cost basis, income-tax returns and supporting documents, insurance policies, warranties, and receipts for home improvements in your home filing cabinet where they’re easy to access if you need them. Credit card statements, receipts, and similar items can be tossed quarterly if you won’t need them for tax purposes. Consider shredding these and other sensitive records before putting them in the trash. Whether you need individual or business tax advice, give us a call. We’ve got the answers you’re looking for, so don’t wait. Call us today. You work hard to make sure your QuickBooks data is accurate. Make sure it’s safe, too. Your QuickBooks company file contains some of the most sensitive information on your computer. You may have customers’ credit card numbers and employees’ Social Security numbers. An intruder who captured all that data could create tremendous problems for you and a lot of other people. That’s probably the worst-case scenario. But other situations could also spell disaster for your business, which involves losing your company data through fraud, hacking, or simple technical failures. We can’t overstate the vital importance of protecting your QuickBooks company file, especially your customer and payroll information. Whether someone steals it or it’s inaccessible for another reason, it’s gone. Keeping your business going after such a loss would be very difficult – maybe even impossible. Here’s what we suggest to prevent that. No business owner wants to believe that his or her employees could use their QuickBooks access to commit fraud. But it happens. Your company file contains credit card and checking account data that could be used for nefarious purposes. As we discussed last spring, you can restrict user access to specific areas and actions of QuickBooks. You can limit your employees who have QuickBooks access to certain areas and activities. To get started, open the Company menu and select Set Up Users and Passwords | Set Up Users. The User List window opens. It should have at least one entry there, for you (Admin). Click Add User and enter the employee’s name and password in the next window that opens, then click Next. Tip: Your QuickBooks license limits you to a specified number of users. If you’re not sure how many you’re allowed, click F2 to open the Product Information page. The number of user licenses you’ve paid for appears in the upper left. On the next page of this wizard, click the button in front of Selected Areas of QuickBooks. The following screens will let you define that employee’s access permissions in areas like Sales and Accounts Receivable, Inventory, and Payroll and Employees. When you’ve clicked through every screen and reviewed the summary displayed, click Finish. Your user will now be able to sign in and access the areas you specified. You can—and should—take numerous other steps to keep your QuickBooks data safe. If your company is big enough to have a dedicated IT expert, he or she will handle most of this. But there’s a lot you can do on your own to prevent data loss and theft.